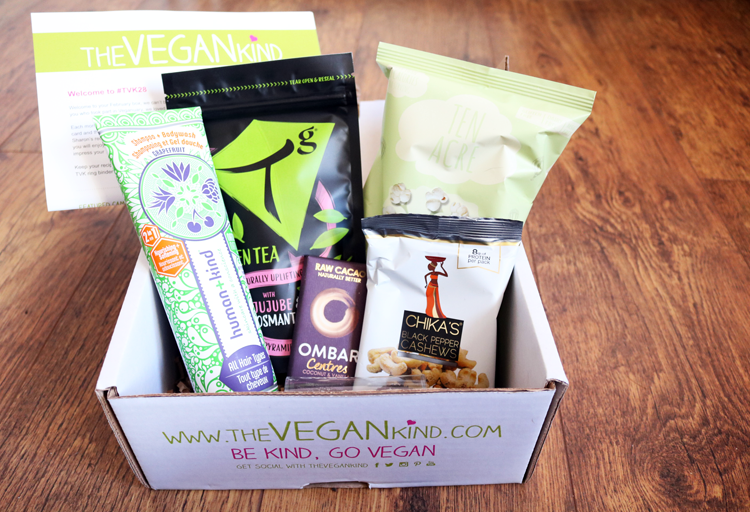 The Vegan Kind is fast becoming my favourite lifestyle box and can definitely be appreciated by vegans and non-vegans (like me) alike! Let's have a closer look at this month's box of goodies. These delicious babies marry up two of my favourite edible things in life; peanut butter and chocolate, so it's no surprise to see an action shot above as these were quickly devoured by yours truly! Made with British and organic ingredients, they have no preservatives or artificial flavours, so they're a great alternative to Reese's and of course, vegan-friendly too. 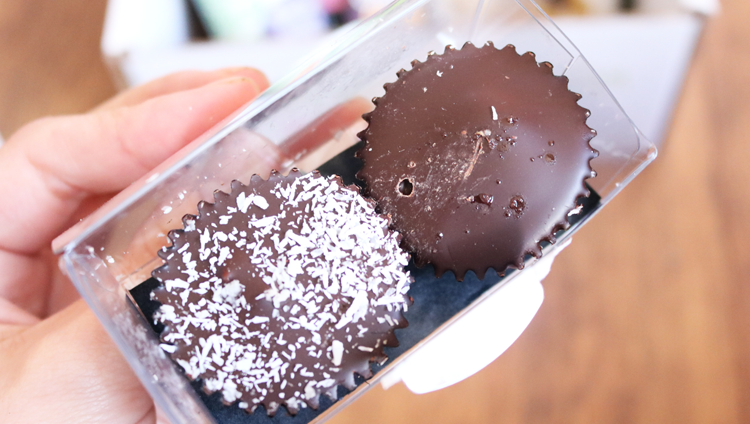 One had coconut peanut butter with toasted coconut and the other was their signature cup made from 73% dark chocolate with peanut butter and a touch of Maldon sea salt. Both were amazing! 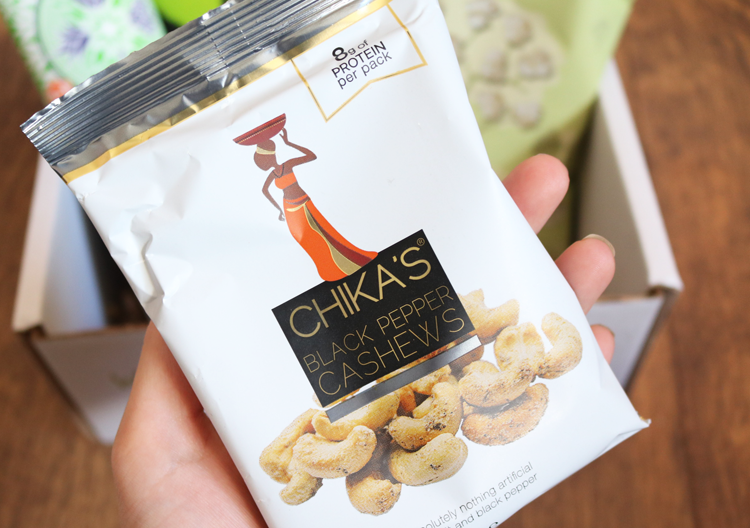 I love cashew nuts and these were very addictive with their sea salt and black pepper seasoning. It was difficult not to eat the whole bag in one sitting but somehow I managed to show some restraint and enjoyed them over two days instead. So, so good. Ombar are my favourite vegan chocolate brand and this bar is from their Centres range which I haven't tried before so this is a real treat. 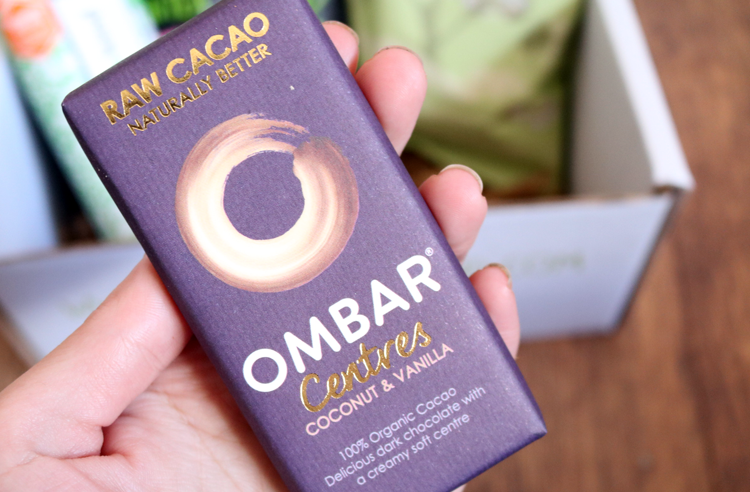 It's made from certified organic ingredients and the chocolate part itself is made from dark raw cacao so it's technically healthier and better for you than mainstream chocolate bars (or so I like to tell myself!). 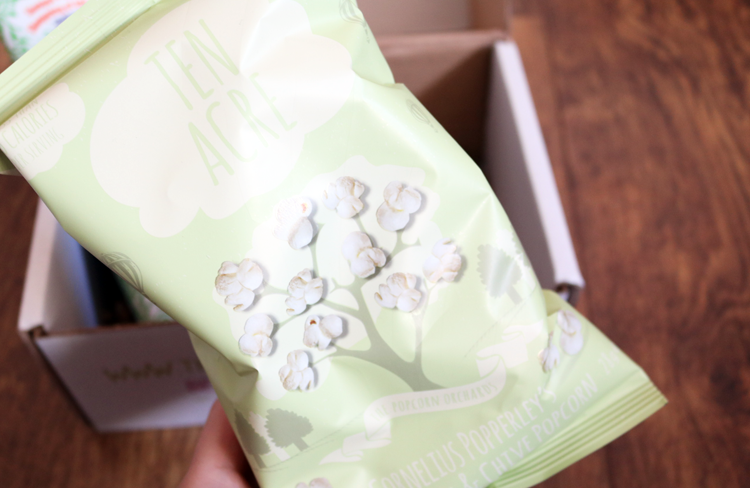 I've tried a few snacks from Ten Acre before and they've all been great so I'm looking forward to trying out this bag of popcorn when I'm next watching OITNB. I also haven't tried any popcorn that's sour cream and chive flavoured before, so that's quite different. How cool is the packaging for this?! 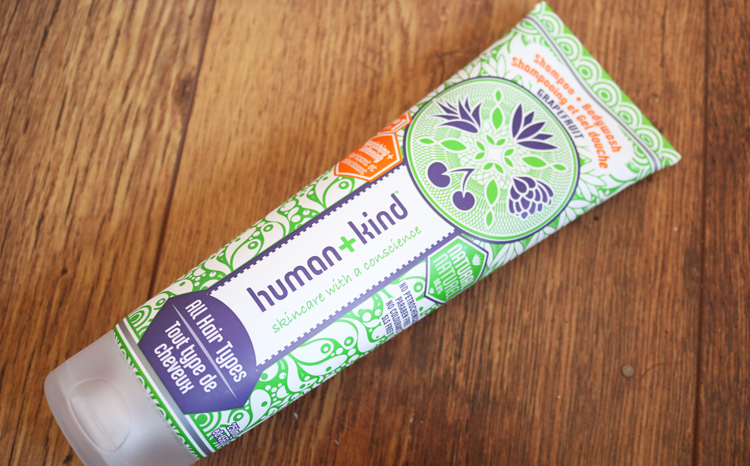 Again, this is a brand new product to me as I've never heard of Human+Kind before, but their USP seems to be multi-purpose products and you all know how much I love multi-purpose toiletries. This one is a shampoo and body wash which is free from petrochemicals, sulphates and parabens. I've had a quick sniff and it smells wonderful. 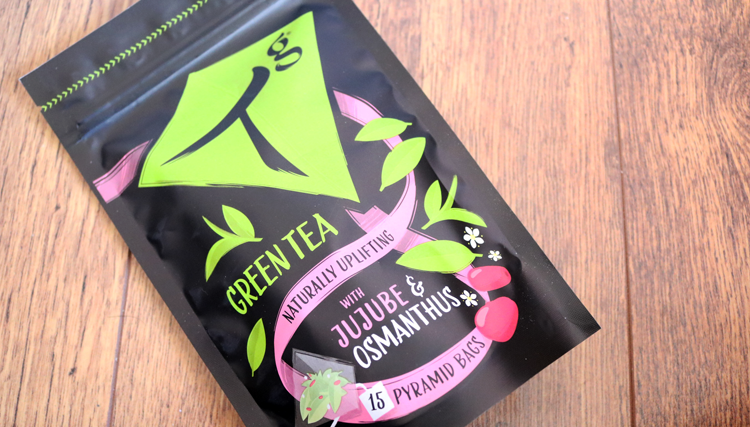 I love me some quality green tea and this one's infused with Jujube berries and Osmanthus for a fruity twist which sounds interesting. And yet again this is another brand that I haven't heard of before so kudos to The Vegan Kind for introducing me to lots of different products this month. 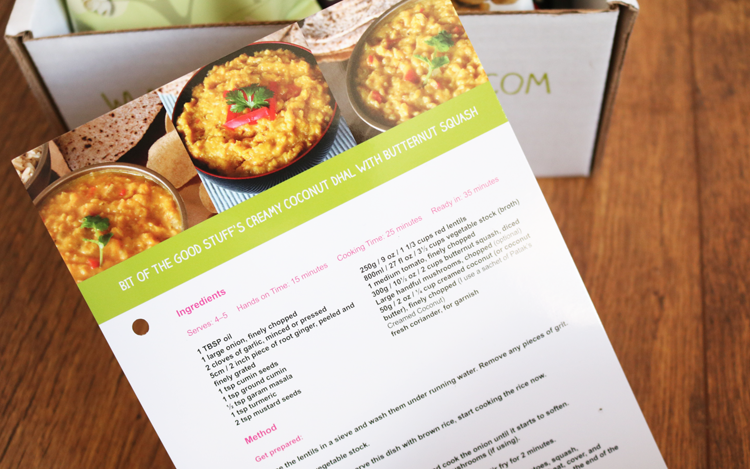 Lastly, this month's recipe card if for a Creamy Coconut Dhal with Butternut Squash which sounds lovely and warming to make during this cold weather, and The Vegan Kind's chosen charity is the C-A-L-F Sanctuary who will receive 10p from every box sold this month.